Monday to Saturday 10am to 6pm. Closed on Sundays. Open Sundays in December 12pm to 5pm. Near the end of the Shopping District on Crandon Boulevard. In the same mall as Winn-Dixie at the opposite end next door to the new home of GNC, just before you get to Westwood Drive. Your Department Store on the Key! All kinds of home accessories, gifts, toys and games, baby clothes, dinnerware, books, candles and much much more. We even have a custom printing department, stationery and a selection of greeting cards. 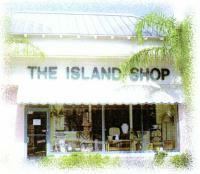 The Island shop also offers a Registry service for all occasions, including a webpage for every Registry.